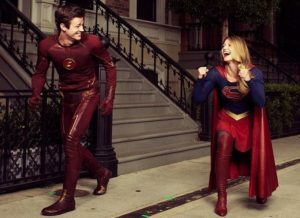 Home / News / Grant Gustin (And The Flash) To Appear On Supergirl! Grant Gustin (And The Flash) To Appear On Supergirl! Grant Gustin will be guest starring on Supergirl in March, playing The Flash (of course). Details acan be found at KryptonSite! Next: The Flash “Welcome to Earth-2” Pics: Robbie Amell is Back!